Dr. Mahendra Rao an eminent scientist in the field of stem cell biology. He is internationally known for his research on human embryonic stem cells (hESCs) and has over two decades worth of experience, not only in the academic aspects of the field, but also in government, regulation and the industrial and clinical applications of stem cells. His association with academia includes prestigious faculty positions in reputed institutes such as the National Institutes of Health (NIH) and the Buck Institute for Age Research. As the founding director of the Centre for Regenerative Medicine (CRM) at NIH, he oversaw the generation of 400 induced Pluripotent Stem Cell (iPSC) lines – embryonic-like stem cells derived from adult cells – slated for use in clinical therapies for a range of degenerative disorders. He has served as scientific advisor to companies and foundations such as Life Technologies (now Thermo Fisher Scientific) and the New York Stem Cell Foundation (NYSCF). Dr. Rao has also worked with the U.S. Food and Drug Authority (FDA) and has served on advisory panels to the governments of the U.S., Singapore and India on policies regarding hESCs (human Embryonic Stem Cells). 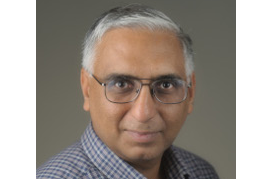 Dr. Rao, has recently joined inStem to lead the Accelerator program for Discovery in Brain disorders using Stem cells (ADBS) program at the Cluster.